Survivor’s Guilt from Harvey? Think Again. 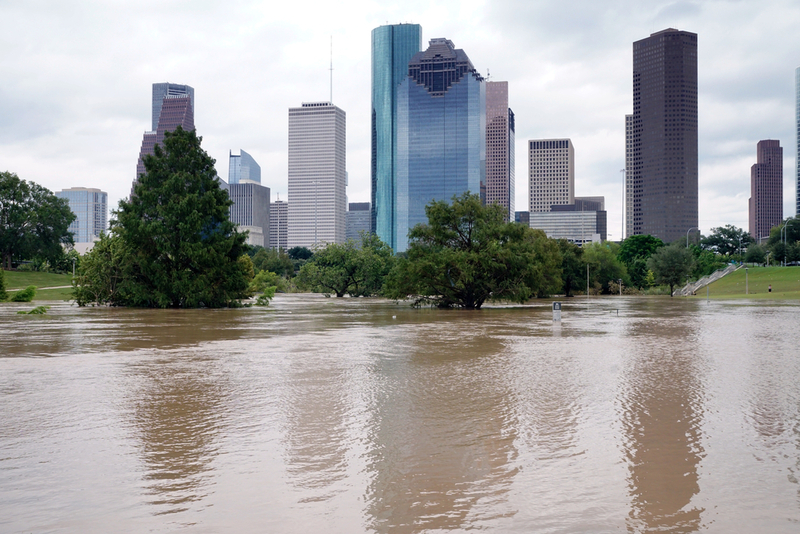 If the City of Houston’s recent actions are any indication, property owners who came away from Harvey unscathed should beware. For each of the past five years, the City of Houston tax rate has decreased. Two weeks after Harvey, Mayor Turner proposed a tax increase to the 2013 rate (63.8 cents). This would have generated $113 million additional dollars in tax revenue for the city to offset the estimated $200+ million in debris cleanup and loss of 334 city vehicles. The proposed tax rate increase was called off when Governor Abbott wrote Houston a check for $50 million. Simple math tells you that Governor Abbott’s check won’t cover the extra funds the city needs to recoup Harvey losses. Turner then asked City Council to keep the tax rate the same as last year. As seen above, the Houston City Council declined and voted to DECREASE the tax rate, resulting in $8 million less in 2017 property tax revenue. First, voters passed a Revenue Cap thirteen years ago, which limits the growth of property tax revenue in Houston to the combined rates of inflation and population growth, or 4.5 percent, whichever is lower, plus an additional $90 million above the cap for public safety spending. Turner attempted to use this exception to temporarily raise 2017 property taxes after Harvey which left an especially sour taste in the mouths of property owners affected by Harvey. It put the Mayor in a precarious situation especially after finding out the taxing entities would not require a reappraisal of damaged and destroyed properties (which would have given a much needed tax break for those affected by the storm – valuing property twice in 2017 – pre- and post- storm – and pro-rating the values) and eased the pain of destroyed and damaged property owners. Additionally, in 2018 taxes cannot be raised above the revenue cap unless the city attempts to employ a retroactive disaster exception. WHAT DOES THIS MEAN FOR HOUSTON PROPERTY OWNERS? It means the city has just created the Perfect Storm for 2018. The city was already in a pinch before Harvey with the pension fiasco and the declining sales tax revenue from the dip in the oil and gas sector. In 2016, property taxes generated 1.1 billion for Houston (26 million more than 2015), which made up 37% of the city’s annual revenue of 2.977 billion. Despite this, Houston saw its first deficit ever in 2016, to the tune of 95 million after audited financials. By year end 2017, the city will be millions short in the amount needed to cover its expenditures from Harvey, let alone budgeted expenses. Simple math puts this amount conservatively at least $150 million. The city will also lose many millions of dollars in 2018 property tax revenue from those properties damaged or destroyed by Harvey. After all, property taxes made up 37% of the city’s annual revenue in 2016. For those properties destroyed, its value is erased. For those properties damaged, the value decline is equivalent to repair costs or what other damaged homes would sell for. Estimates of property damage losses in Houston range from $30 – $100 billion. Based on the reduced 2017 tax rate, Houston will conservatively stand to lose an additional $200 million in property tax revenue that the city so desperately needs. HOW WILL HOUSTON AND HARRIS COUNTY ACCOUNT FOR THE SHORTAGE? Assess damaged and destroyed properties in 2018 as if Harvey never happened. The Harris County Appraisal District (“HCAD”) is in charge of setting values and it is done using mass appraisal techniques. Meaning that if your property was damaged and you do not inform HCAD and prove your damages beforehand, your property will likely be valued as if it had no damages and the burden shifts to the property owner to timely protest the value and prove the damages existed as of January 1, 2018. Mass appraisal techniques equate to a numbers game for the taxing entities. They know that on average only 25-35% of the properties owned protest the initial value. Over-assess undamaged properties. HCAD will likely look to data indicating higher home prices in the 4th quarter of 2017 brought upon by the increased demand for homes by displaced property owners. Over-assess unflooded apartment complexes. HCAD is likely to dramatically increase values in the multi-family sector. The reasoning will be based on the surge of occupancy after Harvey from displaced citizens looking for short-term shelter. This will dramatically increase the base NOI, and it will become the apartment complex’s burden to prove otherwise through actual financials and evidence of hurricane damage. Over-assess all Business-owned Property. Like multi-family, most business owned property is valued using the income method of appraisal. Calculating revenue over expenses to form a net operating income, divided by a cap rate set based on the designated class of the property. The tax rate will increase. This will be done one of two ways, or a combination of both. If HCAD is not successful in increasing values to non-damaged properties enough to compensate for the reduction in value to damaged properties, Houston is likely to fall short of the revenue cap for the first time in many years. If so, Houston is likely to raise the tax rate to compensate for the shortage. Alternatively, if after protests the increased values to non-damaged homes exceed the reduction in values to those damaged and destroyed, the city is may utilize the disaster exception to the revenue cap to make up for the actual costs of city related Harvey expenses (noted to be estimated around $150 million). It will be easier to get this accomplished from a political standpoint, as those damaged by Harvey will have had their values dramatically reduced in appraised value after protest. This way, the perception won’t look like it did in this year’s attempt to raise taxes on all properties (including damaged and destroyed properties) based on their pre-storm value. In other words, it won’t look like Houston is kicking a man while he’s down. For damaged or destroyed property owners: Wake up on January 1, 2018 and photograph the existing damages to your property. Gather all of your insurance claims and adjuster’s estimates, quotes, invoices, receipts for planned or completed repairs, and any AIA documentation related to flood damage. Then get prepared to fight the good fight down at HCAD in the summer of 2018. For undamaged homeowners: It will be important to conduct a comparable sales and uniform and equal property value analysis based on properties similar to yours. Most importantly, if sales prices on those homes have spiked post Harvey, it will be essential to argue pre-Harvey sales are the true reflection of a stabilized market, and show that post-Harvey sales have decreased after the surge. For undamaged business owned property: At year end, gather your actual 2017 financials, compare them to last year to see if there is a decrease in NOI based on a post Harvey dip in revenue. Additionally, you may be able to conduct an unequal appraisal analysis based on the appraisal of undamaged property compared with the district’s chosen method of calculating damaged property. All of the signs point to undamaged property owners seeing a noticeable increase in their property taxes next year through increased values, increased tax rates, or both. Buckle your seat belt because you are likely to encounter some turbulence. And if you can’t fly the plane, make sure you hire someone experienced who can.